HBO's second effort at wuxia is much better than the first one. 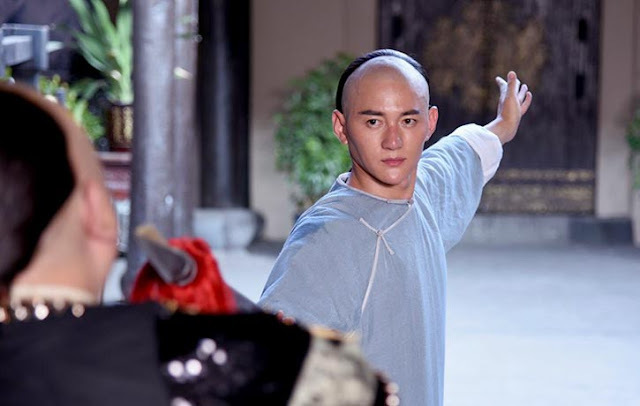 HBO Asia, the Asian arm of the American premium TV channel second venture into the world of wuxia, focuses on another iconic Chinese folk hero,Wong Kei-ying. Wong Kei-ying is a quiet and honest physician, who spends his life upholding medical ethics and saving lives, while avoiding conflicts and politics. However, China in the mid-19th century is swarming with opium, with a number of opposing powers trying to control its distribution, while the consequences lay heavy on the populace, from kids to the elderly. The new governor of Canton, General Wei tricks Wong into helping him take control of the opium from the Ma gang, who are the chief distributors, and subsequently, tasks him (supposedly) to find a cure for the addiction. The first task ends up with the beaten leaders of the Ma gang becoming Wong's friends, and the second with him becoming addicted to opium as he tests therapies on himself. However, when he realizes the cruel and cunning nature of his "ally", he decides to fight against him. In this effort, he receives a martial arts manual from his mentor, that teaches him the Shadowless Kick skill. His enemies though, are expecting him. Guo Jian-yong improved two factors, compared with "Master of the Drunken Fist: Beggar So" The first one is that the melodramatic and romantic elements are much less, and the second, subsequently, that the action is much more, and even more impressive. In this last aspect, the fact that this film is much more violent and gory, definitely helps the action, as it brings it much closer to the Shaw Brothers wuxia films. This trait finds its apogee in the final fight, which is elaborate as it is lengthy, with the duel among different styles of martial arts presenting a very entertaining outcome. The one in the rain is also well-shot. Regarding the first aspect, the film benefits the most from Sun Hao's acting, who is quite persuading in both the dramatic and the action scenes, within the reasonable, of course, hyperbole of the wuxia genre. Furthermore, the concept of drug addiction gives another level to the film, more meaningful, without though, faulting the entertainment aspect. 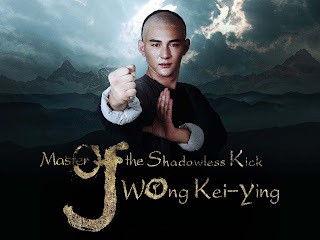 "Master of the Shadowless Kick: Wong Kei-ying" has its faults, with the melodramatic element being, once more, a bit excessive, but it is obvious that both the director and the crew are improving. Overall, the film is one that wuxia fans will definitely enjoy.